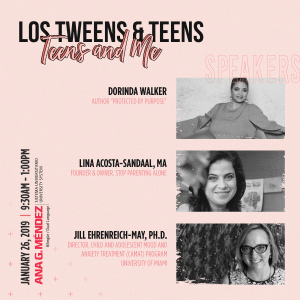 Being a mom of a tween automatically means you’re not that young any more. Our real age is tough for many of us to embrace, especially those of us who grew up with moms, abuelas and tias who believed in never revealing their true age. My grandmother refused to let anyone in the family see her driver’s license because it had her birth year on it. I believe that getting older is a badge of honor. It’s something to be celebrated. We’ve earned the crow’s feet around our eyes and the wrinkles that are starting to line our foreheads. Just because we are proud doesn’t mean we shouldn’t take care of our skin. L’Oreal Paris’ Youth Code Texture Perfector Day/Night Cream and Serum promises to reduce the look of pores and fine lines to give skin a smooth texture. 75% of women who used the day/night cream report seeing an improvement in skin quality . while over 70% of women who used the serum experienced tightened, less visible pores in just one week. Both products are suitable for all skin types. I’m trying it out and so can you. 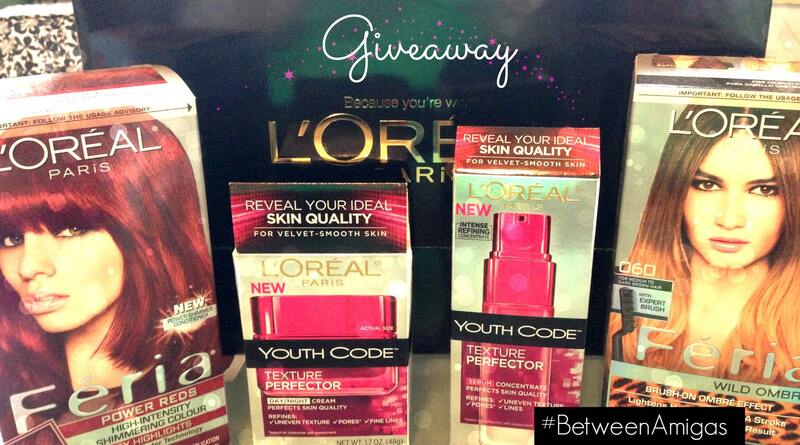 Read below and enter the giveaway to try L’Oreal’s Youth Code for yourself. Also included in the giveaway are L’Oreal’s two new fun hair colors. 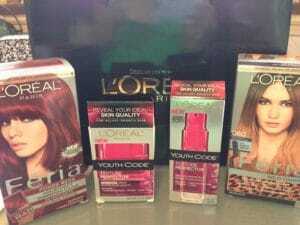 The L’Oreal Paris Féria Wild Ombré is the first at-home coloring system that recreates that hot hollywood ombré trend. 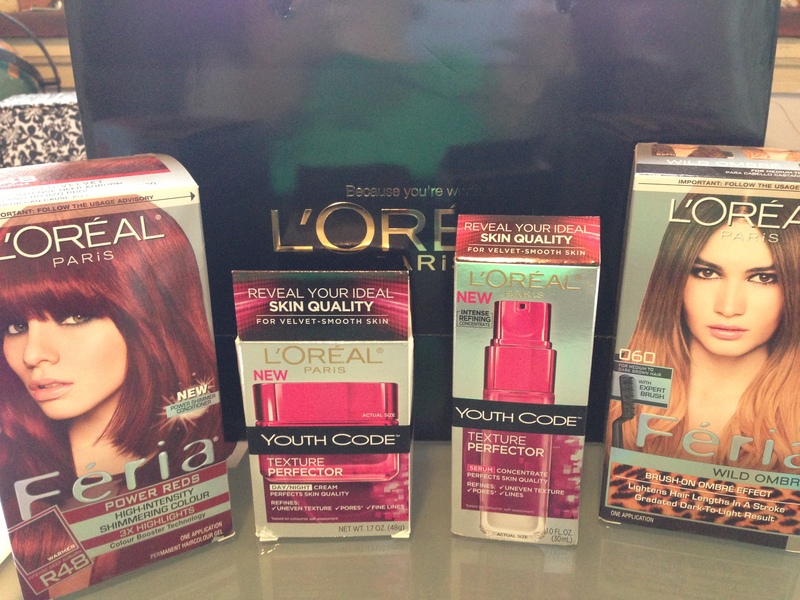 And, the L’Oreal Paris Féria Power Reds gives the intense and fun red hair color with a permanent gel. To Enter: Post a comment below sharing what you’re most proud of at your age. Tweet for additional entries. Giveaway begins on September 22nd and ends at 12:00 am EST on October 1stt. Limit one entry per person and valid to U.S. residents age 18 and over. 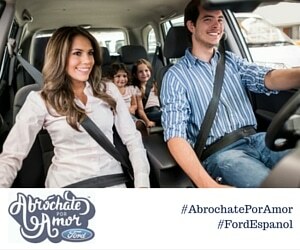 This entry was posted in For Mothers & Tias, Product Reviews and tagged beauty, between amigas, L'Oreal, moms, skincare, youth. Bookmark the permalink. That I have 2 beautiful kids, I’m at my pre-pregnancy weight, and I can do a back bend! I have one beautiful baby. Im 29 .years. I am proud that I’m still in good health. I’m proud of not looking as old as I am. That I have a great family and a loving hubby. I am most proud of quitting smoking! I am proud to be back in school at 38 years old!! I am proud that I am still in good shape and am healthy. I’m most proud of the success I’ve achieved compared to others I know at my age. I am proud I have the energy to chase after two small children! I am proud that I do not have grey hair! I’m most proud of being a single mom of 4 and a full time nurse. My hair and finances are great for my age. I am most proud of myself for having the willpower to have lost 50 pounds. I am proud to have my sanity- especially since I am soon to have 3 teenaged sons. I am also proud of the fact that I am comfortable with my age. I am most proud of my kids!